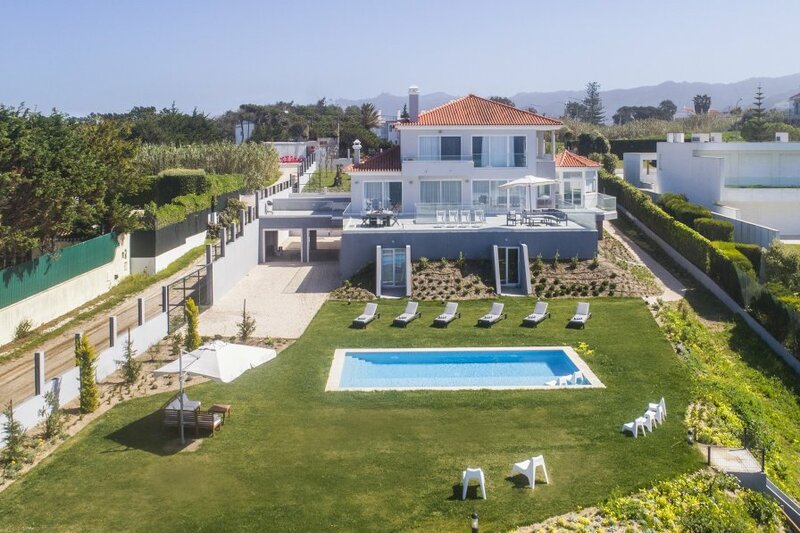 Villa Eros is a marvellous beachfront villa located in a calm and quiet area in Lisbon outskirts. This outstanding 2-storey property showcases sophisticated features within an airy and bright ambience. The kitchen presents itself with modern cabinets and appliances, opening to a roomy living and dining area with wonderful sea views. 5 spacious bedrooms equipped with Smart TV are at guests´ disposal. The property is also equipped with air conditioning and central heating throughout. Moving towards the exterior brings us to a sensational scenery, where the outdoor dining and lounge areas, the private heated swimming pool 10 x 5 meters, surrounded by a well-kept lawn, meet the ocean and the blue sky. The spacious exterior also offers lots of space for children to play.